Jim Carrey has revealed a new painting in honor of the Queen of Soul. The actor, 56, paid tribute to Aretha Franklin with a new painting on Thursday after it was announced she died of advance pancreatic cancer. She was 76. The music icon had been in declining health and receiving palliative care at home in Detroit "surrounded by family members." "Look how beautiful a life can be. Thank you, Aretha!" Carrey, who picked up painting about six years ago, captioned the photo of his artwork which he shared on Twitter. 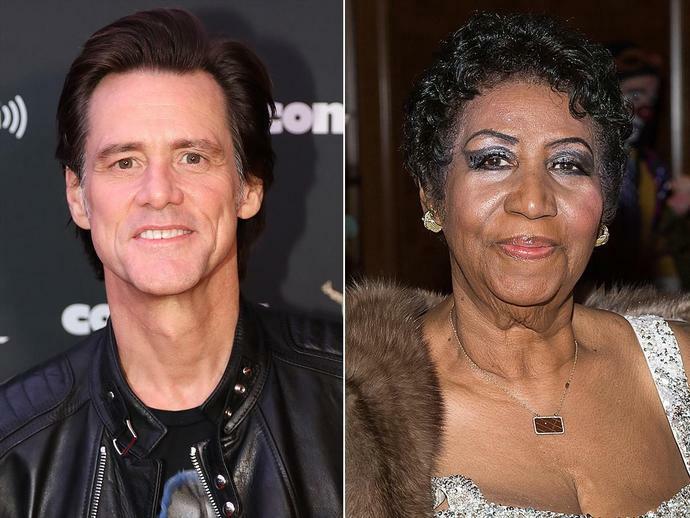 Carrey was among the many famous fans to honor Franklin with heartfelt condolences. Diana Ross, Patti LaBelle, John Legend and Kate Hudson were among the celebrities to dedicate posts to Franklin on social media. Hillary and Bill Clinton as well as Barack and Michelle Obama also shared tributes while President Trump has been criticized for his statement to the press, which said in part, "She worked for me." Carrey's portrait of Franklin comes after his series of political cartoons aimed at Trump. The star has been demonstrating his political beliefs through his artwork, though he rarely explicitly names the subjects of his portraits but many appear to be prominent political figures. Over the past couple years, Carrey has debuted his art pieces on social media, generating praise, condemnation and everything in between. He first shared a piece of Trump-related artwork in August 2017, tweeting a sketch depicting the president on a sinking ship labeled "USS Trump." His boat is shown dipping into a literal sea of lies. "WHAT WILL IT TAKE for the GOP to throw this madman overboard? HOW LOW MUST WE SINK before REPS become patriotic?" he captioned.